Carman, P. (2005). The Dark Hills divide. New York, NY: Scholastic. In The Dark Hills Divide, Alexa Daley goes with her father to spend the summer in the entirely walled in town of Bridewell. Alexa is the daughter of the mayor of Lathbury in the Kingdom of Elyon. Alexa longs to solve the mystery of what lies beyond the walls that protect and connect the cities of Lathbury, Bridewell, Lunenburg, and Turlock. The townspeople are afraid of what’s outside of the wall as the rumors say it’s an unnamed evil. Warvold further peaks Alexa’s curiosities beyond the wall prior to his death and foreshadows the climax of the first novel in the series when he tells Alexa “A lot of secrets are held inside these walls, a lot more are roaming around outside… I think the two are about to meet.” With her forbidden spyglass, the key she took from Warvald when he died, a secret passageway she found in the library, and a magical stone hanging from a cat’s collar, her real adventure begins. An exhilarating and dangerous journey to save the inhabitant within the wall, discover the traitor, save the beings outside of the wall, and ensure a brighter future for all. As Alexa unravels the puzzles to venture outside the town walls, Alexa with her new friends, a tiny man named Yipes that has been waiting for her, Darius, a frierce wolf separated from his wife and son when the wall was built, a rabbit named Malcom, the forest animal council, and the forest king, a grizzly bear named Andler. Ander tells Alexa how her magical stone works, shares the plans the convicts of Ainsworth have in store for Bridewell, and the devastation caused by Thomas Warvald building the walls that divide the Land of Elyon. Alexa then enlists the help of Pervis, the captain of the guard and previous archenemy to convince her father of the impending threat and they prepare for the attack. The Land of Elyon is riddled with endless mysterious wonders wonders, codes etched in stones by Renny Warvald, talking animals, false identities, ancient enchantments, convicts wanting revenge, the criminal history of Bridewell, and the story of Alexa’s own past. 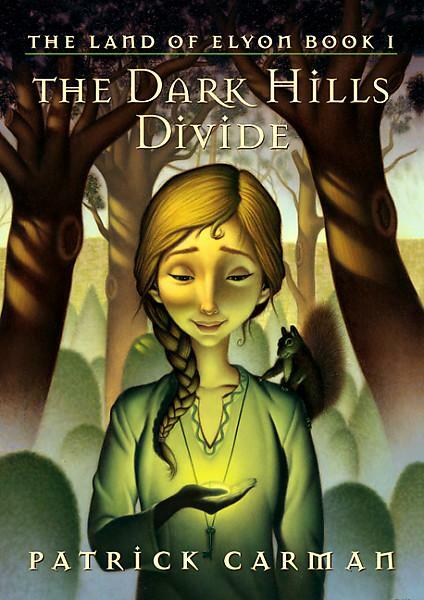 The Dark Hills Divide is very entertaining; with each chapter concluding with a slight cliffhanger and the ending of the novel, though a bit abrupt will have any reader desiring the second book in The Land of Elyon series, Beyond the Valley of Thorns. Carmen describes with vivid detail and imagery both the characters and the landscapes of Elyon. As one reads further into The Land of Elyon series, some may see many similarities to The Chronicles of Narnia as both are riddled with Christian analogies. The map provided in the front allows readers to foreshadow where Alexa’s destiny will take her next. It alludes to coming adventures.